The 61 miles of the Illinois Prairie Path is many things to different folks. To some it may just be a convenient route to work, instead of the hassle of autos and stoplights. To others it may be a favorite place to exercise Rover or Fido. It could be the perfect mileage for a high school cross-country running team to work out their strategy for next weekend’s meet. Perhaps its the only spot one has ever spotted that strange little finch with the purple throat and silvery-yellow wings that brings them back every afternoon. A place to run with the little one in the jogging cart. Everyone seems to be doing their own thing. And loving it. To most, its a bike path that goes somewhere. Or part of their weekly equestrian adventure. Whatever you use the Prairie Path for, we are out there too. That’s why we have amenities along the trail to help make it a more pleasant trip. There is public parking near the PATH in all villages and cities along the Main Stem. Most of it is metered parking or leased parking for commuters, but some free parking exists. In Cook County the PATH runs generally through residential areas where one can find free parking along adjacent or cross streets. On weekends most leasted parking spaces are available to PATH users and metered parking spaces can almost always be used on Sundays without feeding the meters. Parking is free at the following listed sites. Elmhurst: (l) Parking lot east of York Road between Vallette Street and the PATH. Enter from Vallette. (2) Pioneer Park at the east end of Prairie Path Lane where the Path crosses the Canadian National Railroad. (3) West of Spring Road north of PATH. (4) Prairie Path Lane south of the PATH and west of Berkley. Villa Park: (l) Parking lot west of Villa Avenue on Central Boulevard. (2) West of Ardmore Avenue on Central and Park Boulevards. Lombard: (1) Parking lot west of Westmore Avenue. (2) Along Broadway on both sides of the PATH. Glen Ellyn: (1) Hill Avenue near the Glen Oak County Club between Glen Ellyn and Lombard. (2) Along Walnut Street from Lowell to Taylor. (3) The western end of Duane Street. Enter the PATH from Danby Park. Wheaton: (l) Elmer J. Hoffman Park. Enter north from Hill Avenue on Prospec Street, one block east of the NorthWestern Railroad Crossing. (I) In Wheaton along Lincoln and Western Avenues near the PATH. (2) Both sides of Jewell Road. (3) On the northwest corner of County Farm and Geneva Roads. (4) In the Forest Preserve parking lot on the east side of Prince Crossing Road north of the Great Western Trail. (5) Both sides of Army Trail Road, Wayne. (6) Dunham Road. (7) Raymond Street, Elgin. (I) Center Street, Wheaton. (2) New parking lot on the wcst side of Winfield Road. (3) South of the PATH and east of Batavia Rood, Warrenville. (4) Large parking lots south of the PATH near city hall and the public library. Turn west from Batavia Road one block south of the PATH, go one block and then turn right (north) to lots. (5) West side of Farnsworth Avenue in Aurora. (6) McCullough Park east of the Fox River in Aurora. Enter from Illinois Avenue. (7) The Burlington Northern commuter parking lot on the east side of Illinois Route 25 in Aurora. (1) Bilter Road. (2) Glenwood Park Forest Preserve. The entrance to the preserve is on the east side of Illinois Route 25 just south of the Batavia Spur. (l) County Farm and Geneva Roads. 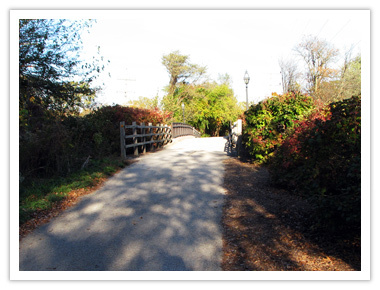 (2) Reed-Keppler Park, National Street, West Chicago. (3) Bennett Park on the east side of the Fox River in Geneva. Enter from lllinois Route 25.